Ressurectionn Sunday is here! Join us for this excellent celebraton of the foundation of our Faith. 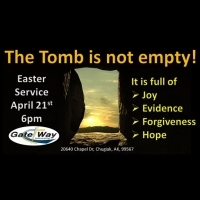 With great music and a message that looks at how the empty tomb validates our faith this will be a great evening.